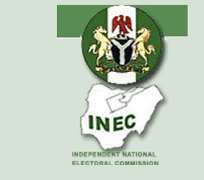 Nigeria’s Independent National Electoral Commission (INEC) today released the list of candidates qualified for the November elections in Anambra state. Curiously the PDP’s prefered candidate, Tony Nwoye was dropped. Also missing was Andy Uba. Nicholas Ukachukwu was named the PDP’s authentic candidate sequel to a court pronouncement which said he was the authentic candidate. A release issued by INEC’s spokesperson, Kayode Idowu stated that 23 candidates would participate in the elections slated for November 2013. REV. CANON RUFUS OKEKE S.E. 2. The Commission enjoins all Political Parties to ensure that only the candidates above listed engage in campaigns as candidates of the Political Parties. For: Secertary to the Commission.